H.H. the Emir Sheikh Tamim bin Hamad Al Thani of Qatar officially launched the first proposed host venue of the 2022 FIFA World this weekend in front of 40,000 football fans. The inauguration ceremony included a light show from newly installed LED lights, a performance from the Emiri Guard and a firework display that saw pyrotechnic experts display 2022 in the sky above the stadium in fireworks to mark the opening of the World Cup venue. 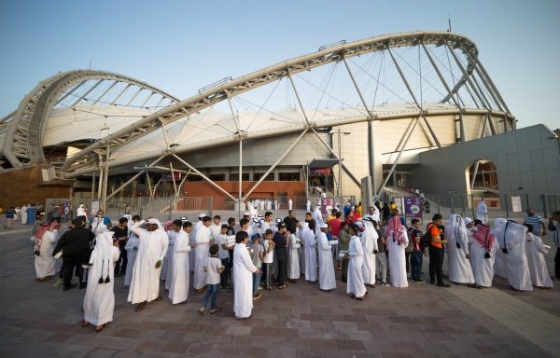 The final of Qatar’s biggest domestic trophy, the Emir Cup, kicked off shortly afterwards as the stadium’s first sporting event since being renovated ahead of the 2022 FIFA World Cup. 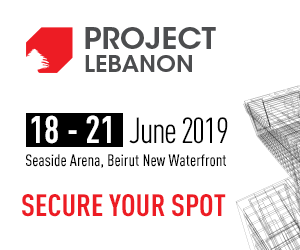 A joint venture of Midmac Contracting and Six Construct carried out an extensive renovation of the venue which will host matches until the quarter-finals of the 2022 World Cup. These include the installation of revolutionary cooling technology promised during Qatar’s successful bid, which on Friday kept the pitch at 20°C and the stands at 23°C while using 40 percent less energy than traditional cooling methods. H.E. Hassan Al Thawadi, Secretary General of the Supreme Committee for Delivery & Legacy (SC), the organisation responsible for delivering the infrastructure required to host the 2022 FIFA World Cup Qatar, said of the launch: “The completion of our first stadium more than five years before the Qatar World Cup begins is an important milestone that reflects our determination to deliver a tournament the entire Arab world is proud to be a part of. Other new features at the stadium include the installation of a larger roof over the entire spectator area, with an intricate net of German and Italian-made steel tension cables weighing 4,000 tonnes holding 92 panels in place. The stadium will also be the first FIFA World Cup venue and the first stadium in the region to be lit by LED lighting, which is both more sustainable and more versatile than traditional lighting. Even the pitch at Khalifa International Stadium has a rich story to tell: designed to be perfectly suited to Qatar’s climate, it was developed at the SC’s nearby Turf Nursery – the only one of its kind in Asia – and was laid in a new world record time of 13 ½ hours. Speaking on the launch of Qatar’s first World Cup stadium, Gianni Infantino, FIFA President, said: “As organisers, to see a 2022 FIFA World Cup stadium already delivered and fully operational is a great joy, besides giving us confidence regarding the level of preparations in Qatar.